Can we make Australians WANT a land tax? If tax reform is boring, that’s because it’s run by boring people. Economists can spend hours sitting round teasing out the intricacies of an allocative efficiency improvement. But when it comes to convincing others, economists tend to stroke their moustaches, repeat the word “productivity” and wave their laser pointers at a dense thicket of lines on a graph. We need some marketing type thinking to help us economists. There is no other way the Australian public can be swiftly convinced of the merits of new taxes. And convinced they must be, because the economy needs all the productivity gains it can get to lift incomes. Land tax is the best tax. 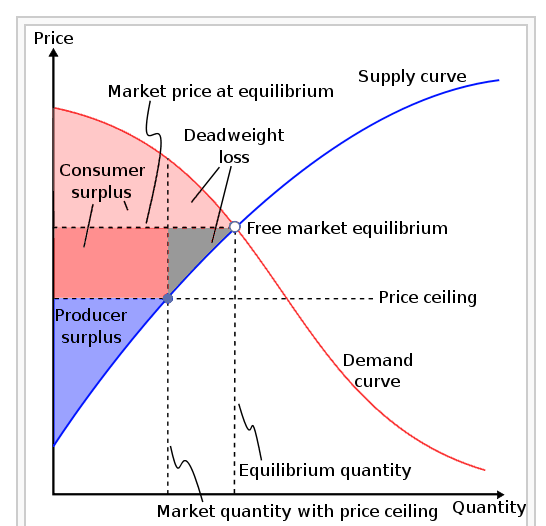 Everyone who understands economics knows it. It’s minimally distortionary. But people really hate the idea of taxing land, and whipping up a scare campaign could scarcely be easier. We need to change people’s beliefs about taxes. But more than that: we need to change people’s feelings about taxes. At the moment, land tax is wildly unpopular, while the luxury car tax is wildly popular. I theorise that people like the idea of a tax they can avoid, hate the idea of a tax they can’t avoid. So how do we change people’s feelings about unavoidable taxes? Do we lecture them about deadweight loss and distortion? I can feel the eyes glazing over already. The ad starts with the bespectacled taxman knocking on the door of a large mansion. “Tax time!” he cheerfully announces. The door is answered by a butler, before a rotund, pinstriped individual arrives and pulls his pockets inside out. His face affects an attempt at sorrow that barely conceals a smirk. The taxman’s brow furrows in disgust and we zoom out to see him walking back down the long gravel driveway, past an array of parked supercars. I’ve discussed this kind of idea before, with a “Trevors in Traffic” campaign to promote congestion charging. The point is that you can’t start arguing for a solution when people don’t even understand there is a problem. Teaching people about the allocative efficiency of various taxes is going to be expensive. You’d need TV ads, newspaper ads, a PR blitz. But if it greases the wheels of tax reform, it could be the best money ever spent in the Australian economy. You can avoid land taxes. Don’t own land. The basic political problem is that the people who own most land, and who would become obligated to pay the most land tax, are the wealthiest and most politically influential. Have they thought through where the taxes that replace land tax would come from? And how much of that they would pay directly or indirectly. I doubt it. The residents of Mosman may revolt! Sure, a land tax that exempts principle place of residence IS a much better solution than none at all. I’d say it’s many people’s idea of a pretty good tax (though no exemptions is even better). Less tax is best. Land tax is simply ridiculous. howard govt’s reduction in income taxes, together with inequitable even iniquitous measures such as negative gearing, have produced a situation where more revenue is needed just to maintain current commitments……….any tax which doesn’t too deeply affect the relatively poor and doesn’t demotivate the relatively wealthy seems like a good idea. Land tax, estate tax, income tax reform are all politically dangerous but economically necessary…. so where are the politicians with the balls for the task? Emphasise the reductions in income taxes, GST and so on that we can make using the land tax revenue. Also emphasise the vacant and under used lots of land that can be put to better use, especially for anyone looking for a home or looking to start a business. Appeal to Australians by explaining that if a land tax was put into place, it would be much easier to find a home and start a business in a convenient location (as it will ensure that all lots are used to their full economic value). Also, land taxes are great for funding infrastructure. Building a railway line increases local land values, and if this increase is captured with land taxes there is a sustainable way to fund infrastructure. These are all very good points. Maybe we need a range of ads. Previous Previous post: My HECS debt is finally gone! Next Next post: “Tearing up the contracts” for the road tunnel means there is an actual difference between the political parties. Wow!